Not edited and it shows. Preheat your oven using the directions on your holiday roast package. In a saucepan, heat your apple cider vinegar over a medium heat. Once it begins to bubble slightly, whisk in the remaining ingredients except cooking spray until smooth. Heat to a boil and then remove from heat. Spray a roasting pan with olive oil cooking spray, place your defrosted holiday roast in the pan, and brush a heavy coating of your Apple, Sage & Molasses Baste over the top. Make sure you get an even coating over all the exposed roast. Cover with foil and bake for 10 minutes and baste again. Bake for another 10 minutes and baste again. Remove the foil and baste again and bake uncovered for another 10 minutes. Now depending on your roast, you may need to bake it longer, or it might be done. Follow the instructions on your holiday roast package to see how long you need to bake your roast for. Once your roast is ready, take it from the oven and serve hot with gravy and stuffing. Now most holiday roasts come with gravy... a sad little package that is a little heartbreaking the first time you try it. 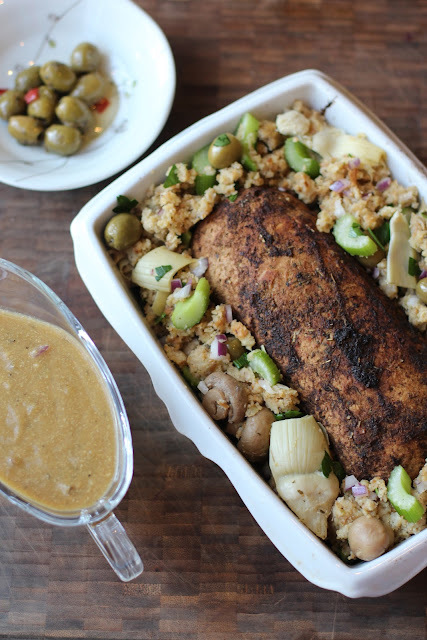 Here's our attempt at dolling up Gardein's gravy. Heat your prepared gravy over a medium in heat in a saucepan. Once it begins to bubble, whisk in the ingredients above until smooth. Once it begins to boil, remove from heat and set aside. Serve hot. I think Mother-In-Law Stufifng is pretty. So my mother-in-law doesn't really cook. In fact in that Shannon house, it's Dan's dad who makes the Thanksgiving meals. So in a way what I'm about to say doesn't make sense. But if my mom made stuffing** I'd like to think it would be this recipe. So maybe I should rename this Dan's Mother-In-Law Stuffing. 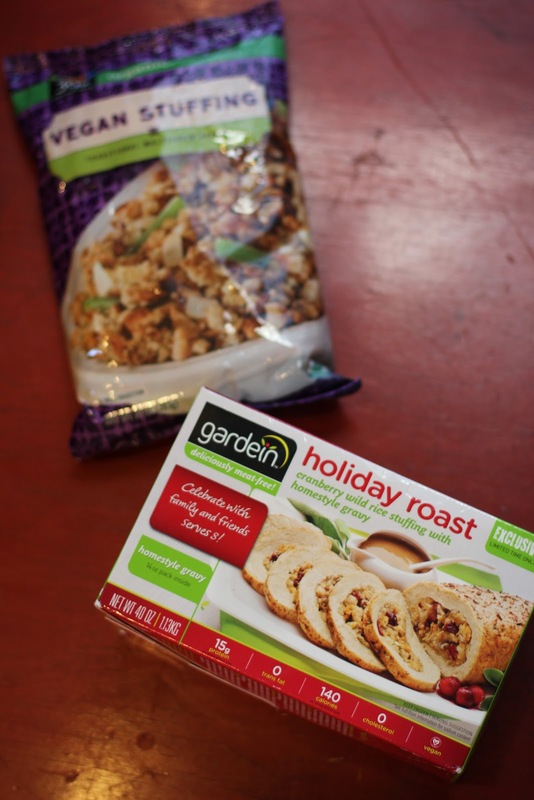 For the recipe above, we dolled up Whole Foods Vegan Stuffing, but really any vegan stuffing will work. 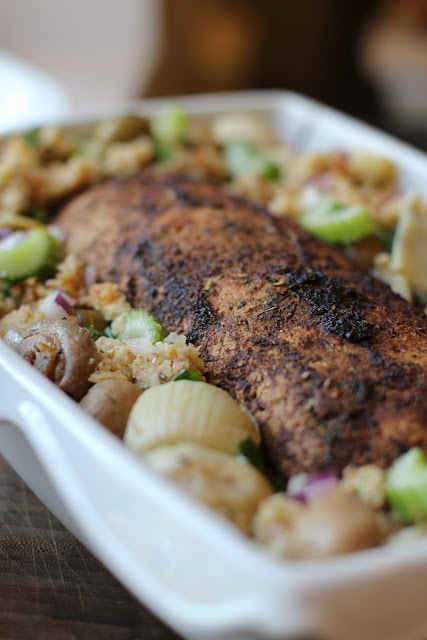 Prepare your stuffing per instructions on the package substituting broth and olive oil for the water and butter and add onion, celery, Italian seasoning, celery seed, lemon peel, and garlic powder. Once your stuffing is ready and fluffed, mix in remaining ingredients. *There were just a lot of needles and tests. Don't worry, there weren't any Terms of Endearment moments or anything like that. **We weren't big on Thanksgiving in the house I grew up in. I refer you the story I told in The Thanksgiving Day Parade #6. Hi Annie! 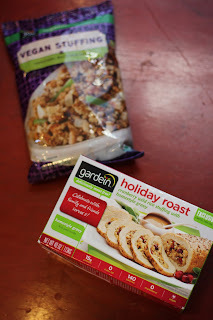 I was able to get my hands on a Gardein roast and want to make your recipe for Thanksgiving. Unfortunately, we don't live close to a Whole Foods. I was wondering if their dressing is pre-mixed with herbs. If so, I can find a substitute brand. Or would it be better to use plain bread? Annie, this was AMAZING!! Thank you so much! I ended up using a stuffing mix from the grocery store and made sure I didn't use the crumbs/herbs that had collected in the bottom of the bag so it was more "lightly" seasoned and added more Italian seasoning. It was perfect. My husband went back for thirds. And the glaze on the Gardein roast was fantastic - and doesn't that roast rock? And I have to tell you that my 16 year old omnivore step son CHOSE to have Thanksgiving dinner at our house. He said it was because he loved my cooking. And I owe a lot of that to you. Every recipe of yours I've tried has become a new favorite. Thank you! I've pre-ordered your cookbook. I was disappointed that it wouldn't be ready for Christmas - I wanted to give them as gifts to anyone who asked me, "what do vegans eat?!" I am wishing you the best - your health, your family and your continued success. Yum... 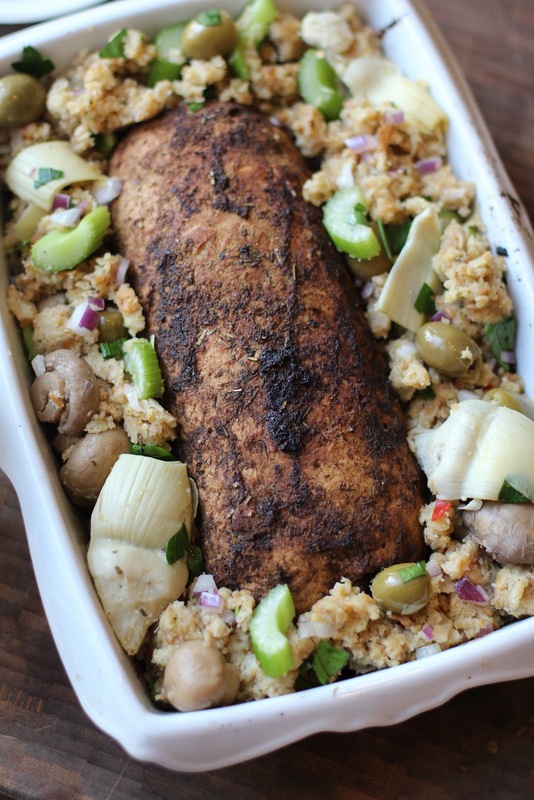 I have never seen meatless roasts before! You have opened my eyes to new possibilities. Thanks so much for posting this recipe.